Canadian Living readers always ask for fresh dinner ideas, and chicken is usually what's on the menu. So the Canadian Living Test Kitchen has gone through hundreds of their Tested-Till-Perfect recipes and brought together more than 180 of their favourite dishes that feature this versatile meat. 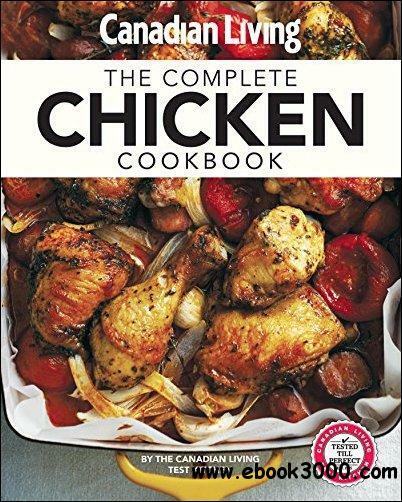 The book is organized in easy-to-use chapters around the part you want to use-such as breasts, thighs, cutlets, drumsticks, ground meat or the whole bird. You'll find simple weeknight meals (pan-fried or baked chicken, and simple stews, stir-fries and one-dish dinners), weekend treats (wings for game night, tasty burgers and easy stuffed chicken breasts) and entertaining mains (rotisserie and roasted whole chickens, Cornish game hens, and exotic stews and tagines). Canada's foremost food experts also give you helpful advice on buying, preparing and cooking chicken so that every dish you make turns out perfectly. You'll even learn some foolproof techniques for tasks that seem (but aren't) difficult, such as cutting up a whole chicken (you can do it!). And with the Canadian Living Tested-Till-Perfect guarantee, you'll be confidently creating classic chicken dinners your whole family will love. Canadian Living: Make It Ahead! Canadian Living: Make It Chocolate!